Today has been an emotional roller coaster. I'm working on an online class that aims at bringing out more light into the world, when shadows and destruction have struck hard again. 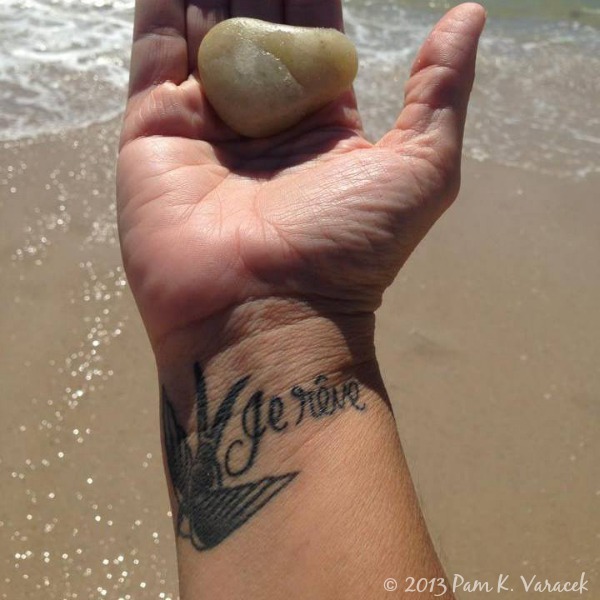 I guess it's no coincidence that the luminous guest post I am sharing tonight is all about grief, light and courage... 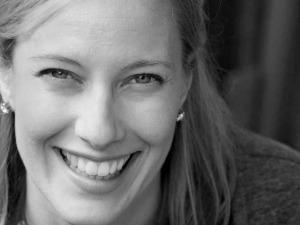 I am deeply honored to welcome one of the most talented women I know: the beautiful Sarah Treanor. 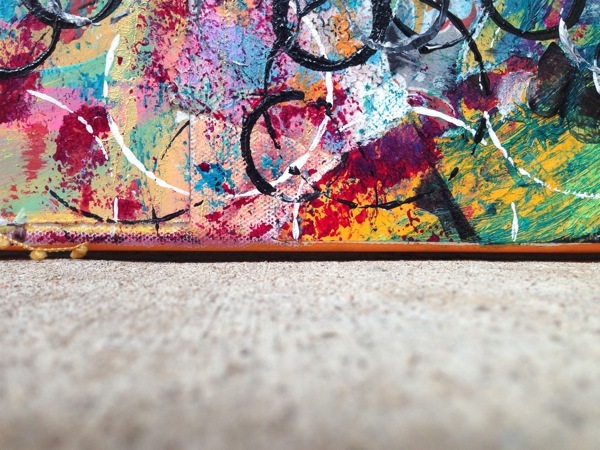 "This piece was a particularly tough one for me to put onto my canvas. It represents depression. Depression is something that runs in my family. It is a condition that many people suffer from, and most of us have felt a bout of depression at some point in their life, but it is one that is always difficult to discuss. For me I compare the feeling of depression to that of drowning, to feel the water envelop me as I sink into the depths. This is what I wanted to project in my piece. What is difficult is that I also see water as a calming, soothing symbol. I head to the bay near my home every morning for that. I enjoy listening to the waves lapping against the shore. I have actually had people reach out to me to tell me the painting is not so much drowning but waving. That's what they see when they look at it, more like "Not Drowning, But Waving". That is actually a very healing thing for me. Once upon a time, a girl felt very isolated, thinking that this depressive state was something no one else could relate to. "Not Waving, But Drowning" has helped her get her story out and has helped her see that she is not alone. She lives happily ever after." 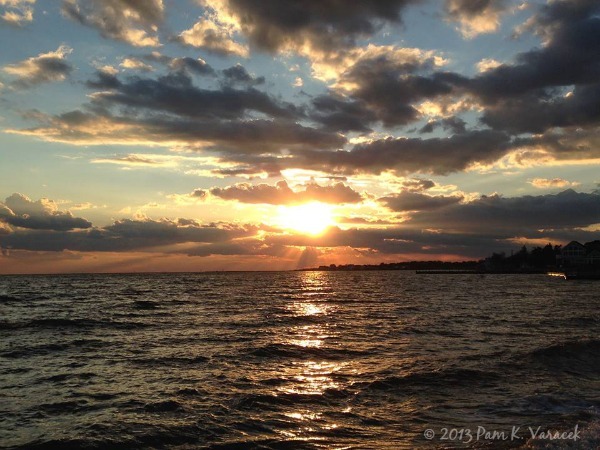 Pamela K. Varacek is a native of Long Island, New York, where her love for the beach, ocean and Great South Bay has been a major source of inspiration for her. 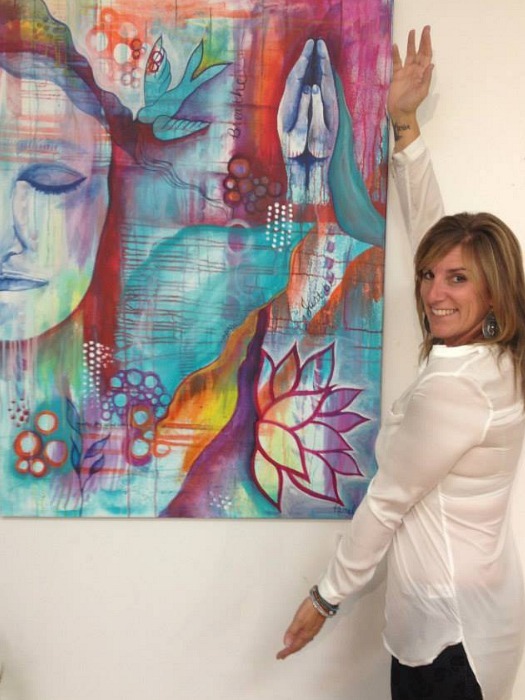 "This painting, titled Breathe, marks a time of huge personal and artistic transformation for me. After many years of art being on the sidelines of my life, it was the first open acknowledgement of who I am, and of my dreams. I put all my loves together in a way that felt true to me (art-making, paper, emotions, words, color, texture, pattern, layering, femininity). I learned that creating peaceful, soft, yet intense art is what I love to do. The process was very intuitive. 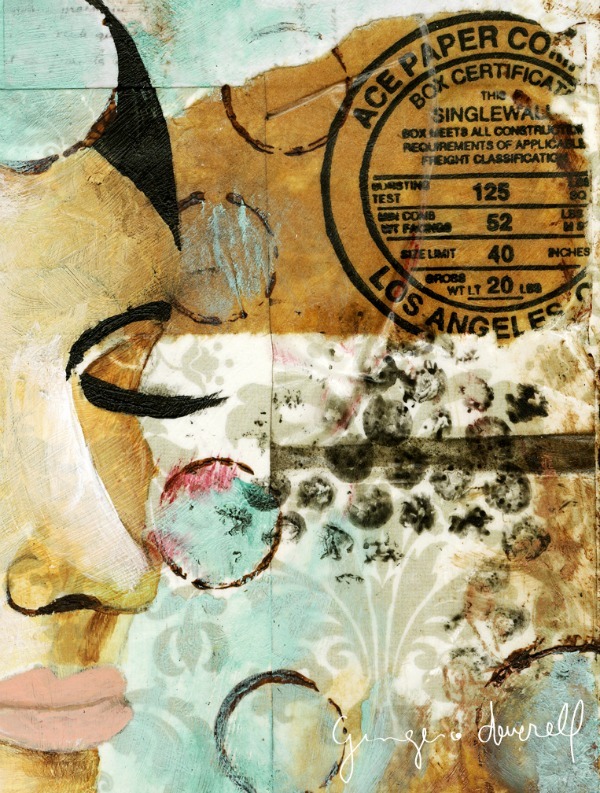 I took an online mixed-media class by Danita Art to experiment with new techniques, and the rest just poured out of me. The ease I felt was new to me. I knew right away that I had stumbled upon something that would change my life. And it did. It is. One of the most beautiful things to emerge was my love for the feminine parts of myself. Allowing myself to indulge in softer colours, purer emotions, and more feminine elements—this has set me free. The small moments of tranquility and vulnerability are the most real and meaningful in life. My colour palettes range from vintage tones of turquoise and sea foam green to creamy off-whites, peachy oranges, fresh farm greens and chartreuse, rich coffee browns, striking blacks, and of course pinks—both soft and hot pinks, especially when combined with orange. I have a passion for paper—using paper in my art, designing patterned and coloured papers, running my fingers over the textures of papers. It’s a dream of mine to have my art featured on paper goods—giftwrap, cards, journals, stationery products and so on. 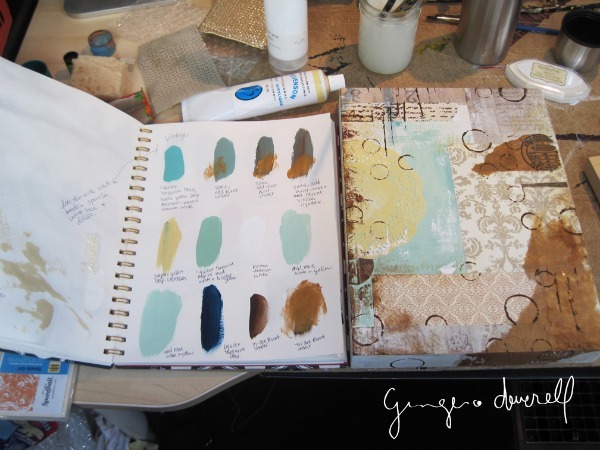 I love mixing my own paint colours, using heavy-bodied and soft-bodied acrylics. And carving my own stamps has become a new creative joy of mine, from sketchbook scribbles to finished stamp. And of course gel mediums. They have transformed how I create. I grew so much in those weeks of working on this piece, as a person, a woman, an artist. I found a new gentler strength, a soft femininity. I felt peaceful for the first time in my life. 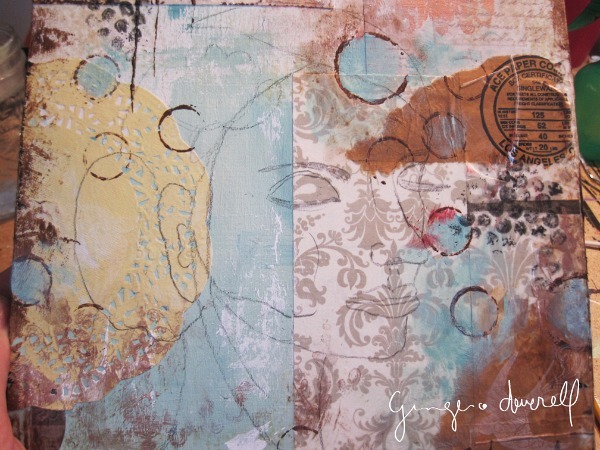 Living in Vancouver, Canada, Ginger Deverell is a mixed-media artist and designer who paints for beauty and healing. She feels there is such power in beauty, in growing, in being and knowing yourself. 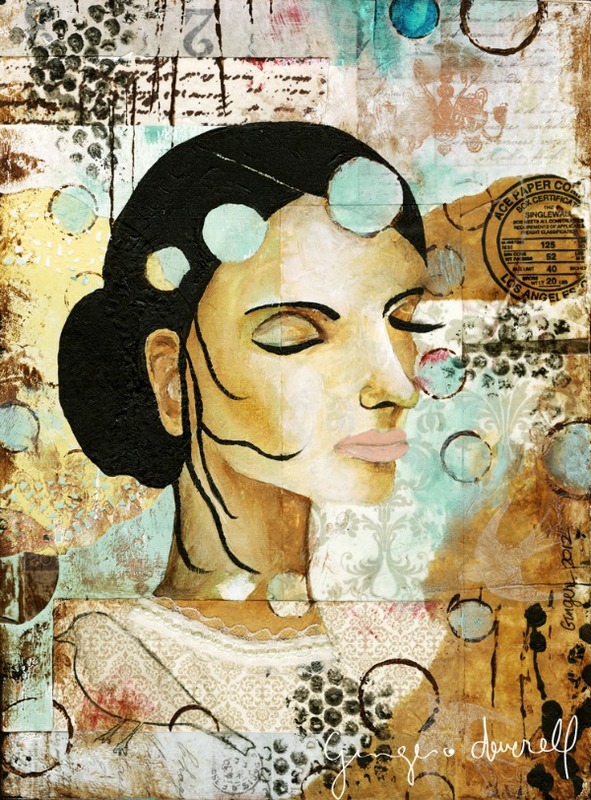 Creating is her way of processing her experience in this world, a journey of self-discovery. She expresses this in her art with the hope that others will use it as a mirror to see and celebrate their own beauty and truths. 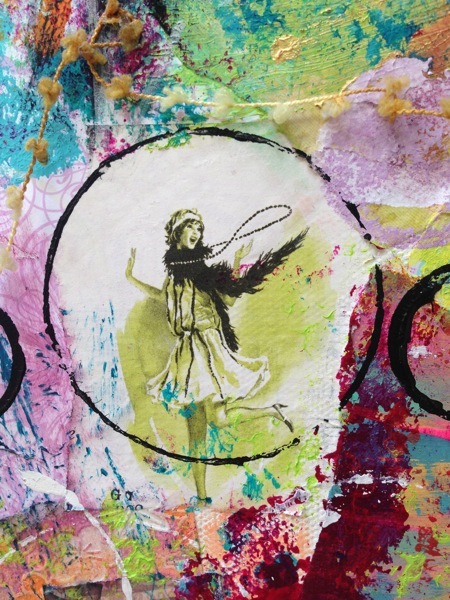 Ginger is also the talented creator of Red Pear Creative, a boutique art and design company producing exquisitely simple designs coupled with eclectic and colourful art. Friends, it's been a few weeks now since the summer break is over and the kids are back to school, and I am amazed at how truly at home I feel in the studio now. I have moved into this new space, Body and Soul, and every morning I walk up the stairs with my cup of tea, still hot because I just can't wait for breakfast to be over to get up there... I'm back on track! Painting away, experimenting, letting things happen and evolve and surprise me, and having fun with it all! Talking of experimenting, you're in for a treat today because it's time for a new Once upon a time guest post! 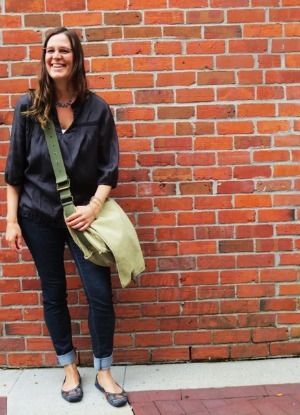 Meet the lovely Sara Naumann and her Serendipity story, where she shares her thoughts and a few creative experiments. 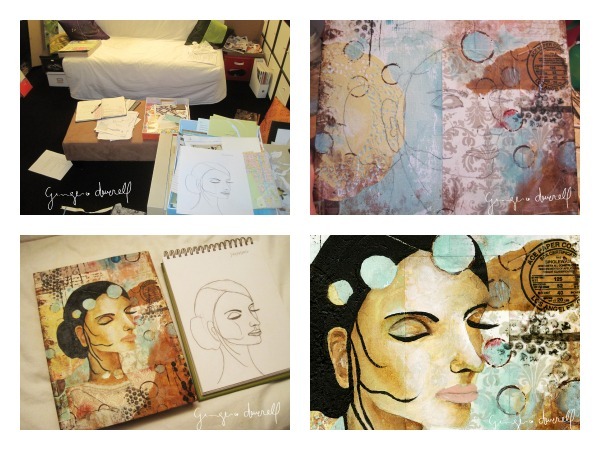 And if you feel like trying out new techniques and letting your inspiration run wild, I invite you to stop by her website and Youtube channel: Sara has some very cool art tutorials in store for you!
" I've always heard that when you find a feather, it means you're on the right path. It can also mean you need to lighten up a little and trust that things will be all right (this is a big one for me!). 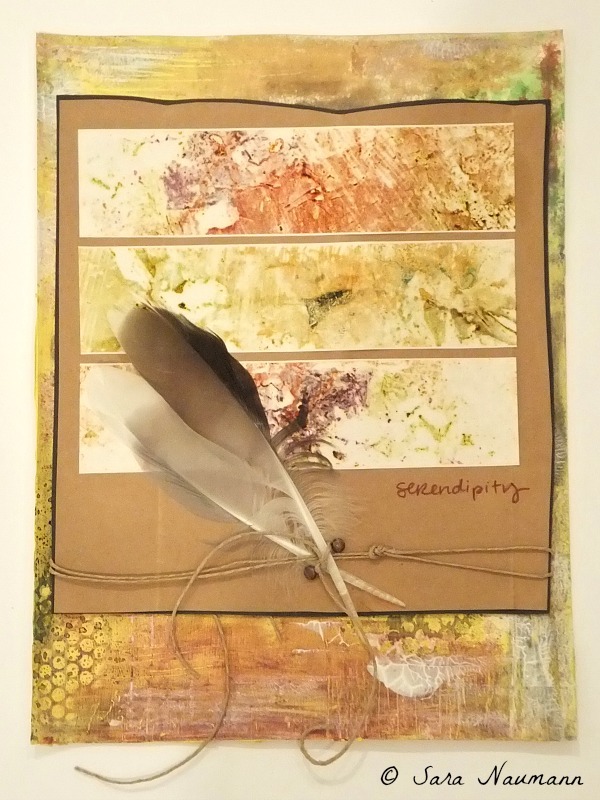 At the time my toddler daughter found those feathers, our family was going through a lot of change with an international move from Amsterdam, Netherlands to Sopot, Poland. Although we're American, we felt very much at home in Amsterdam. We'd lived there 5 years, and our daughter was born there. Making the decision to move was incredibly difficult (we changed our minds every day, it seemed, for months), although it was ultimately the right one. Moving anywhere can be a challenge, yet I also love the opportunity to start fresh...to discover new things that are wonderful and amazing and to add to your list of favorites. You make mistakes, you miscommunicate, you get lost, you get frustrated, you are helped by strangers and you discover things you adore. This is true for any big life change, not just moving... I found myself in the same situation after becoming a mother! So sometimes it's comforting when a series of unrelated items come together in an unexpected and serendipitous way in an art piece. I love the word « serendipity », its meaning and the way it sounds when you say it. It really fits this piece because the assembly was a fun sort of accidental combination! For example, I played with several paint colors for the background, didn’t like it, and put it in my “for later” box. It wasn’t right for the project I was doing at the time but three months later it found its purpose in this piece! 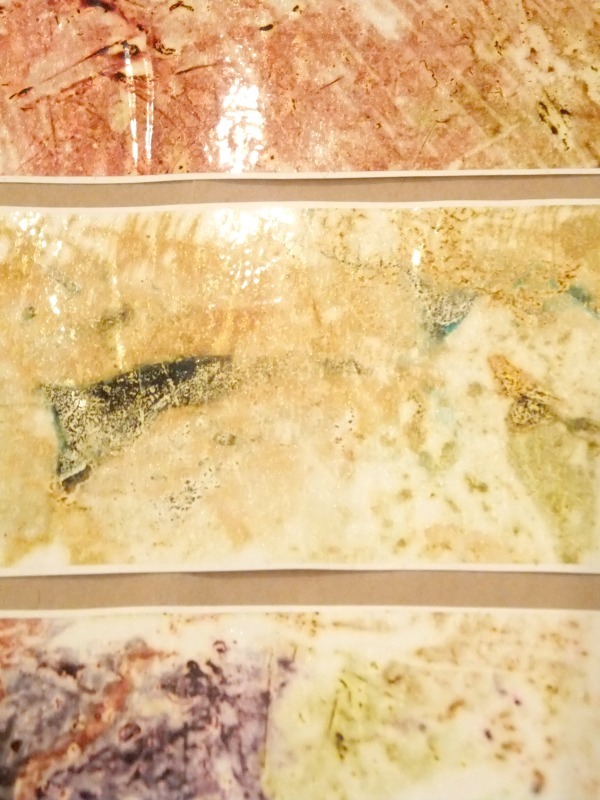 The tape is an experiment I did with alcohol ink and a “tape lifting” method that also ended up in the “for later” box. Then one day my babysitter returned from a walk with my daughter and they had found these beautiful feathers. 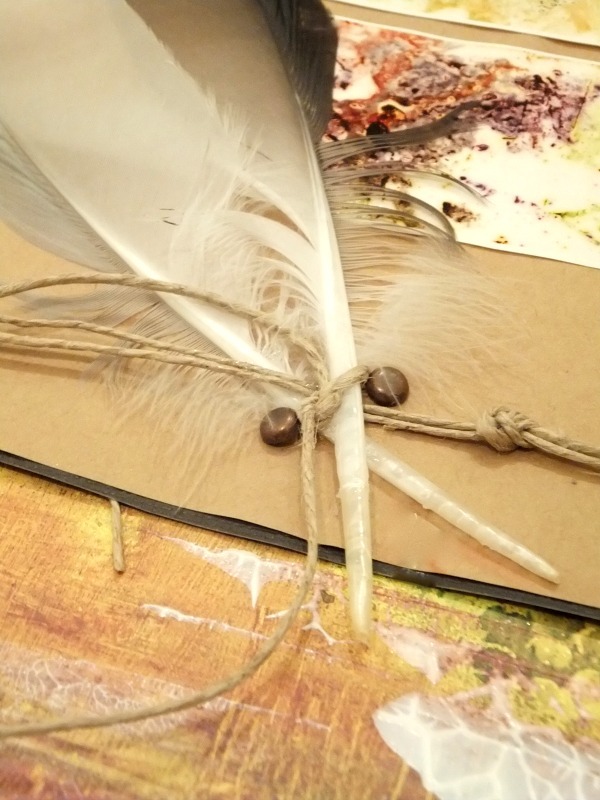 I knew I wanted to use them in an art piece, and it was exciting because I had never worked with feathers before! I picked through my “for later” box and found just the right elements to go with them. The symbolism of the feathers was very comforting for our family at this challenging time. I really believe our paths are filled with possibilities and promises. Sometimes you know exactly where to go on the path, other times you have to pay more attention to the way the path leads. And sometimes, the promises come in disguise. But if we just march along, we can miss all of the amazing things life has for us right this very second! What about you? How do you deal with change? Do you have any serendipity stories? Share your thoughts in the comments! Here it is! As promised, today I have the great pleasure of bringing to you a new Once upon a time guest story by the lovely Suzanne Joy Fernald. "Driving home from a long road trip to see Sequoia National Forest, a view of blossoms appeared in the distance off the highway. With a sudden energy burst and exiting the highway, I grabbed my camera eagerly, running to the tree grove… and speechless. Kneeling with my camera to encompass the blossoms, my eyes became moist with beauty through my lens. Moving about, capturing a variety of angles, joy filled my soul beyond words. After many pictures, running back to my vehicle, through tears expressed with faith, I prayed the composed pictures would be as beautiful as seen through my lens. I did not own a digital camera, it was film. The instant gratification of seeing the image immediately was not there. However, there was a thrill to relive the moment upon seeing my developed film. This almond tree photo entry won an award at a local fair and, as a bonus, a patron also wished to purchase it. Meeting the patron at a coffee shop, the older woman softly spoke of the intended picture placement at her home. “It will be at the end of the hallway, as if walking down the path myself”. Many years later, this series of photos remains my best seller. Seeing the path of Almond Trees brings such joy in experiencing God’s creation with speechless joy encompassing my heart." Suzanne Joy Fernald is an American artist from California. 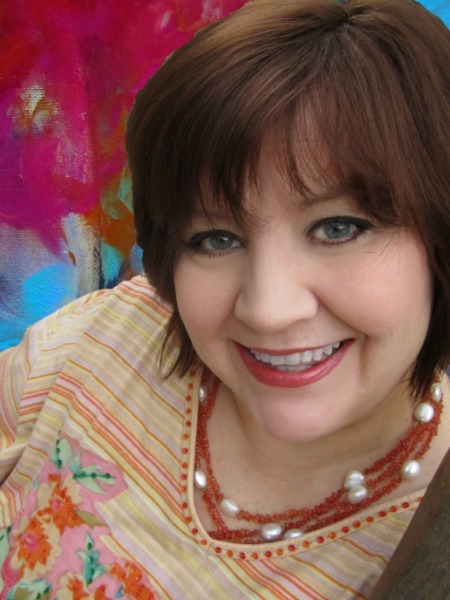 Lover of writing and a photo enthusiast, from a young age, Suzanne's heart sings in sharing Spirit and lifting positivity of honesty, joy and Truth to encourage others along their path and life's journey.
" Once upon a time, I stayed home with my baby boy Liam, attempting to be content as a stay-at-home mom. My marriage wasn't making me very happy, but I was trying to ignore it, focusing on the day-to-day needs of my little one. However, over those two years, I felt an ache growing inside of me, not all that different from the ache I felt to have a child. I felt something missing, and growing within me at the same time. One of the things that "no one tells you" is that sometimes, the most amazing addition to your life - the birth of a child - can force into the light any unhappinesses that you have so far been adept at ignoring. Indeed, this is what I experienced when I brought home my baby boy, Liam, although it did not happen right away. It took two years for this ache to grow into a roaring growl to rediscover my own identity. Just before Liam turned two years old, my mom, Liam and I flew to the Hawaiian Island of Oahu. We traveled there with a specific intention: to bathe Liam in the ocean, at a specific beach, and say prayers to the spirits we believe in there. A baptism of sorts, echoing the ritual my mom had performed for me when I was that very age, while we lived on the island. During the visit, I was flooded with memories of myself as a child there. I was also enchanted by the colors, scents and the abundance of inspiration. I realized that this was my home, in my soul, and that it was full of color and joy. Two things that I was missing gravely in my home life at home. And more importantly, I felt more like myself than I had in years. Full of recognition of my true self, desires and needs, all of which had been laying dormant for far too long. When I got home from that trip, I wanted a way to hold on to the happiness I'd felt in Hawaii. I couldn't live there, so the next best thing would be to try and recreate the colors and images I'd absorbed. And so, I began to paint. 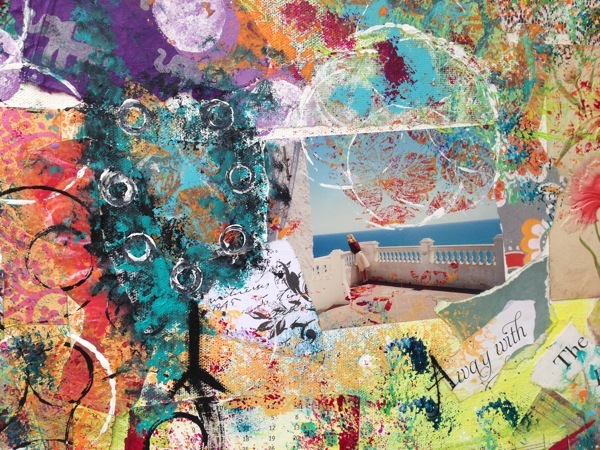 I say "paint," but now, looking back, I realize, I wasn't just painting, I was healing myself. I used colors that reminded me of joy. I chose things intuitively: scraps of calendars, vintage books and dried flowers picked from walks with Liam. The more I painted, the more of my own true self I uncovered, dusted off, and brought into the light. And, correspondingly, my marriage deteriorated further. This may sound sad, but it's not. Painting gave me the window into my true self, and once I saw it, I could no longer ignore the things in my life that were making me unhappy. I called for an end to my marriage, and I continued to paint through every stressful moment, every brush stroke and color laid down encouraging and supporting my true self to come to life. 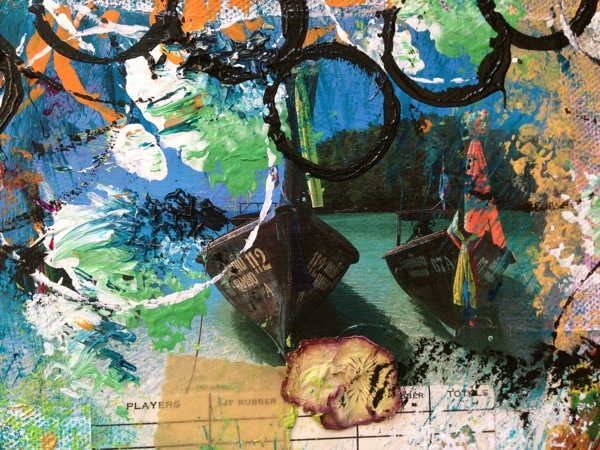 With this specific painting, I created intuitively, as usual but instead of being a random painting of color, it seemed to become a journal as I created it; almost a vision board of what made me, "me." I included a favorite photograph of myself, to honor the feeling that I recall having in that moment, in a small Spanish coastal town, feeling feminine and free, staring off into the blue Mediterranean. I laid down all the colors that suggest warm, vibrant locales, which make me feel at home. There were nods to my love for travel sprinkled throughout, as well as scraps of text. One of my favorite exercises is to tear out text without looking at it, and then to find phrases once I've glued it down. The phrase I found in this piece was: "You are also yourself, wayfarer." I laughed outloud when I found it: of course! I am a mama, first and foremost, but I am also myself, a travel-loving, paint splattered woman on a journey, of spirit and in travel. Jessica and I would love to read your own thoughts and stories of self-discovery and how creativity has entered your own life... Leave us a comment! 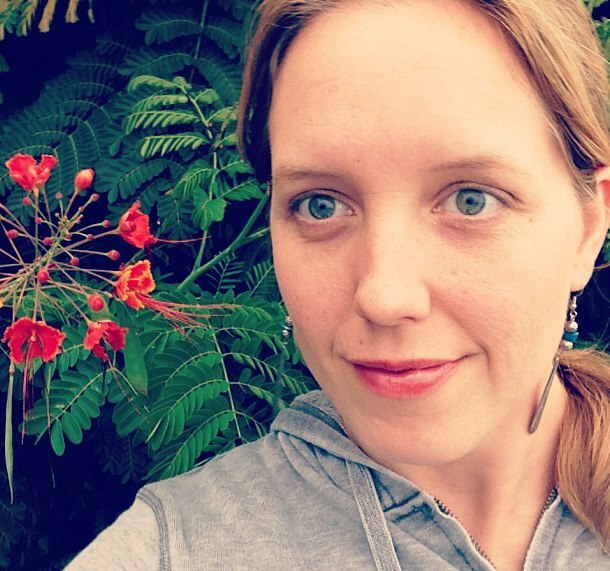 Jessica Brogan is a creative entrepreneur, and guide to women seeking truth in their lives. You guys I am SO excited about this! Ever since I started blogging, a little over a year ago, I've wanted this to be about sharing. I was a bit shy at the beginning, didn't always feel comfortable showing my art, not to mention talking about myself, the "artist". At the beginning it was hard for me to dare call myself that. But thanks to YOUR wonderful support and encouragement, I have been walking this creative path towards my dream day after day with more confidence. A year ago exactly, I was doing my very first art show, making it real for the very first time. And one of the things I have realized this past year, is that the art and the artist are one. That when you paint, sculpt, dance, write or sing from your heart and soul, from a place of authenticity, then you are part of the art that is created, and it is part of who you are. So today I want to take it all one step further, not just sharing my art, my journey, but those of other creative souls. 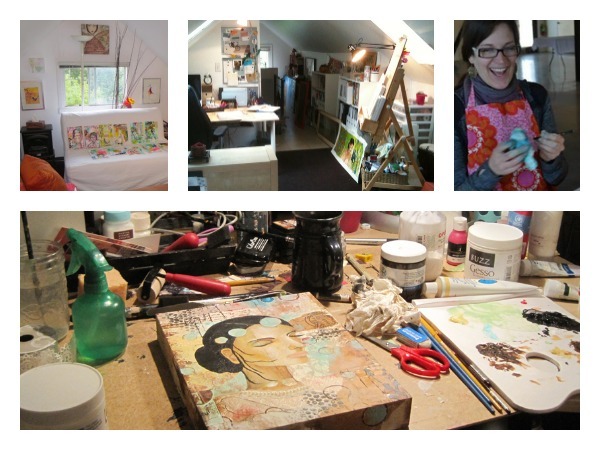 That's why I am starting a new "artist profile" series here on the blog! But we're not going to do this in the regular interview style. Instead, we are going to focus on one art piece, one that has a particular significance to an artist, a special story, and let the voice of the artist be heard through the tale. The series is called "Once upon a time", and I am truly honored to have a wonderful artist and friend open it today: meet Shelly Penko! Enjoy the story and we will both be delighted to read your comments! Once upon a time, there was a dreamer. When I began this piece, I didn’t feel like painting. Life was feeling bleak and dark and scary. Sometimes big endings feel that way. I was afraid there was only sadness within me, so I decided it would be okay to paint the sadness, or whatever came up. I gave myself permission. This painting was intuitive, begun without a plan, no final product in mind, no idea what the subject would be. I painted colors and marks with detached abandon, just making marks and enjoying the colors and movement of the paint. I was squirting water, watching the paint drip, making marks. 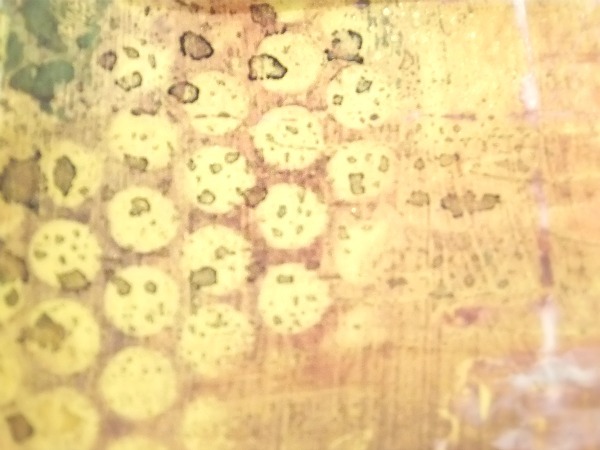 The colored ovals drew me in, so I made more of them, painting directly with fingers rather than a brush. The swallow appeared next, swooping in as swallows do. Swallows nested on my front porch a few summers ago and impressed me with their teamwork and ingenuity. When the young hatched, several adults worked tirelessly to feed the brood. The babies grew until it was a marvel that they all fit in the nest…becoming sleek and beautiful. For several days, the juveniles fearlessly practiced acrobatic flying under the watchful eyes of the adults lined up on the edge of my roof. Then one day they left the nest for good to make their way in the world. The swallows made an impression on me with their dedication, community, grace, and courage. When they showed up in this painting, I realized they had become a sort of talisman for me. The face of the woman appeared next. It was a dark face, which was unusual for me. I’m usually all about contrast and light. This face seemed shrouded. I let her be. More flowers, more color and glowing shapes followed. 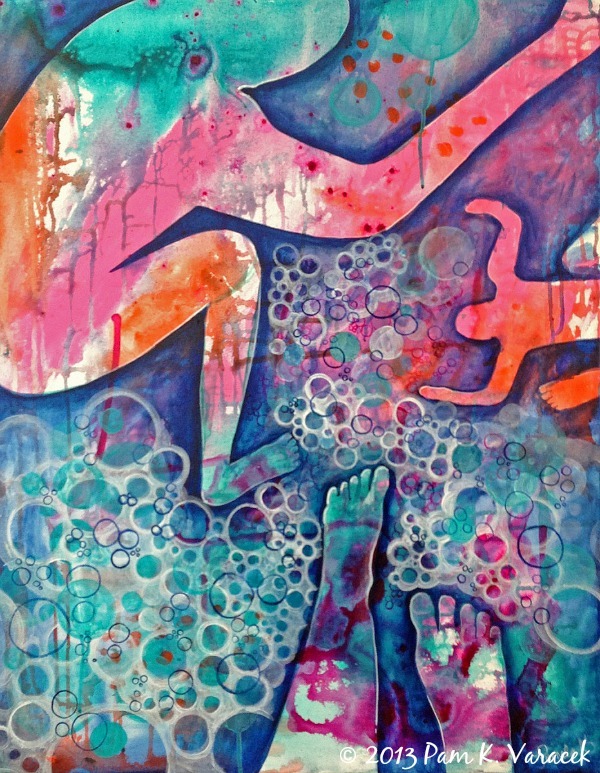 As the painting evolved, I realized she was dreaming…and her dreams were bright and colorful and happy. It reminded me that when darkness is all we see, a light still burns inside of us. For me, that light is creating. From the time I was a little girl, I always wanted to paint or draw or decorate anything I could get my hands on. It’s a part of me. A part I had shoved aside all too often to take care of “more important” things. This painting reminded me to dream big and to dream in color. It also reminded me that I don’t have to do it all alone. I can have a community. I’ve done a lot of paintings since I completed this one, but this one marks the beginning of my journey back to myself; the woman who is part of a community of like-minded souls, the woman who is a dreamer and a creator. Now that I’ve found her, I’ll never shush her again. “She Dreams in Color” wasn’t about endings after all, it was about beginnings. 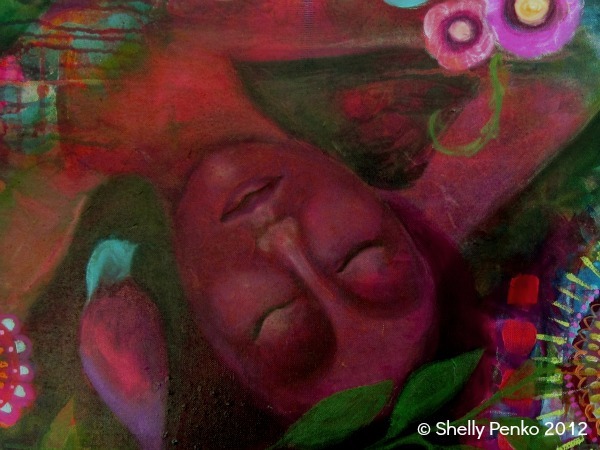 Shelly Penko isa contemporary artist, living and working in Austin, Texas. 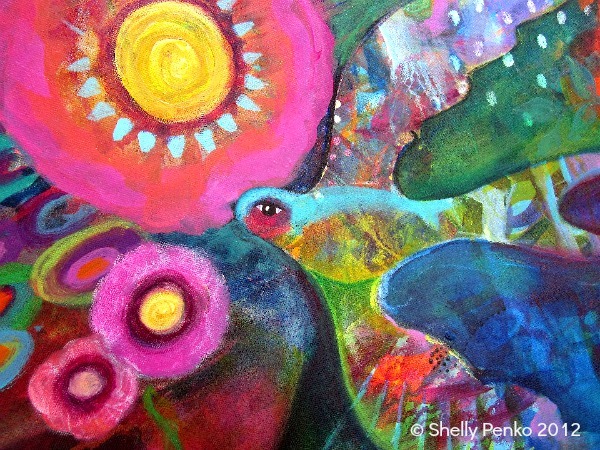 Shelly likes to use beautiful colors and soulful imagery to reflect her joy in the simple beauty of life, family and friendship.